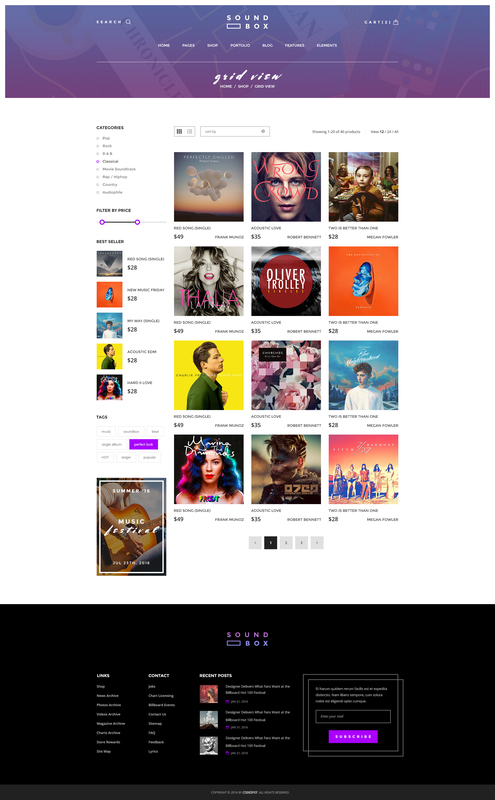 SoundBox is an Easy Digital Downloads Responsive WordPress Theme design perfectly for music, songs, videos, digital downloadable products,... 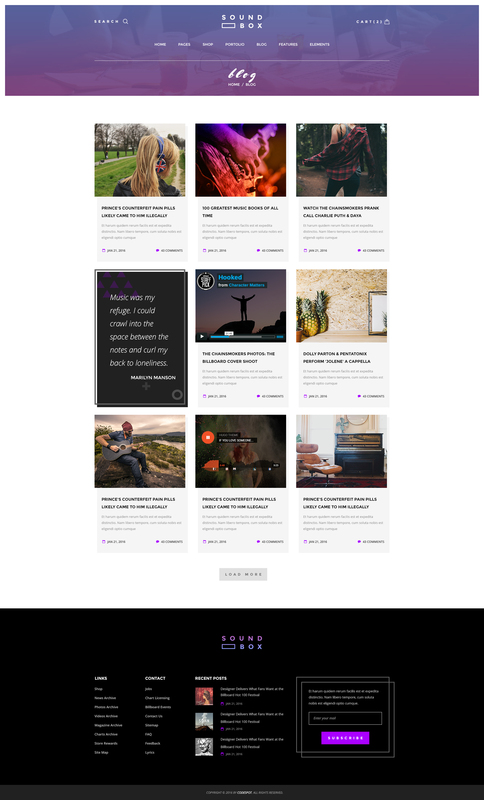 This WP template is super clean, modern, colourful, responsive design will make your content shine. Fast, un-bloated and coded to the highest standards with your website, you can focus on content creation and the theme will do the rest. Theme support RTL, multi-languages, multi-store websites. Powerful, advanced & customizable theme admin options. 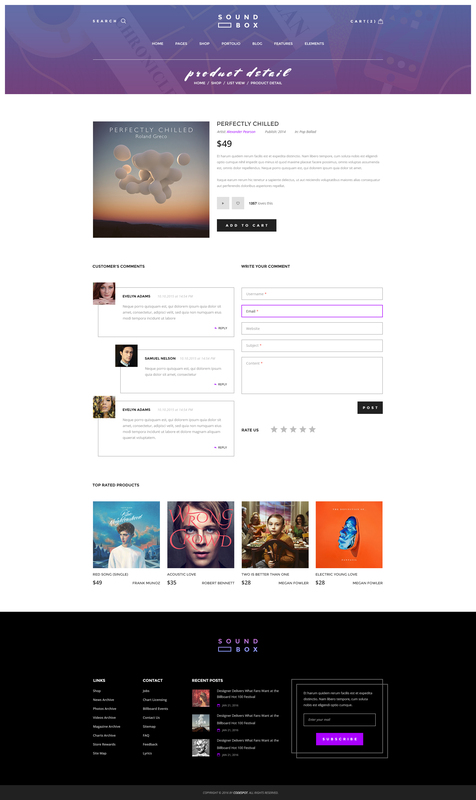 Theme designed as general, popular, common, material design and easy to use styles. 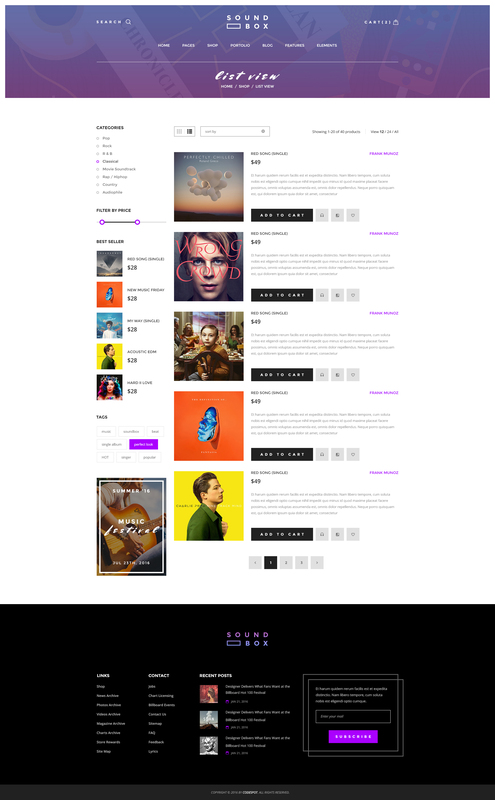 Look no further than SoundBox | Easy Digital Downloads Responsive WordPress Theme if you are looking for a theme for promoting and selling digital products and digital-related merchandise. 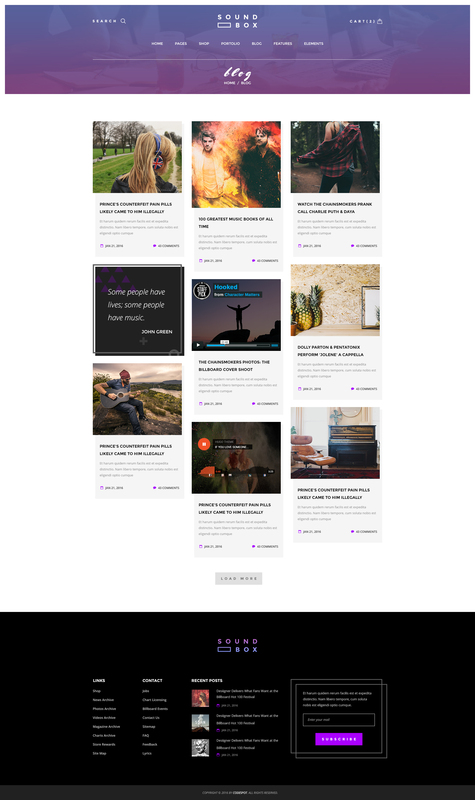 This theme comes packed with wonderful features and functionalities allows you to set up a website with zero coding required. 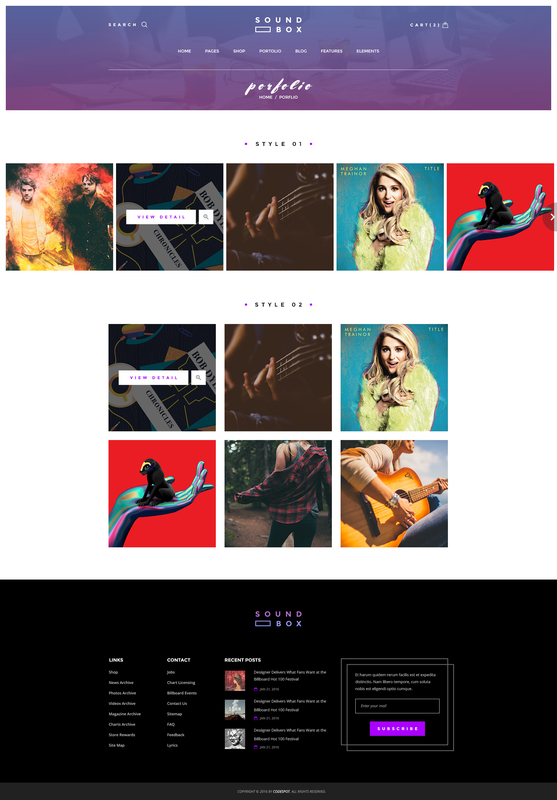 As it’s a multipurpose WordPress theme, it’s crafted to suit different types of websites whether you want to sell music, songs, videos, downloadable digital products. 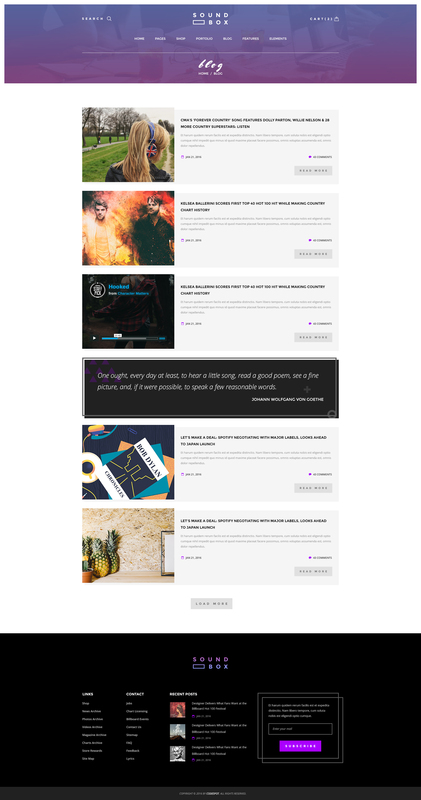 Designed with the robust Bootstrap 3 grid base, SoundBox is completely responsive that automatically adapts your website to any possible screen resolution including smartphones, tablets and desktops so your website looks incredible on any device. Thanks to cross browser compatibility, it works seamlessly on major browsers such as like IE11, Firefox, Safari, Chrome. In addition, our theme was also assembled with high quality code and the best SEO practices in mind to help your website increases the ranks to the top of major search engines results. 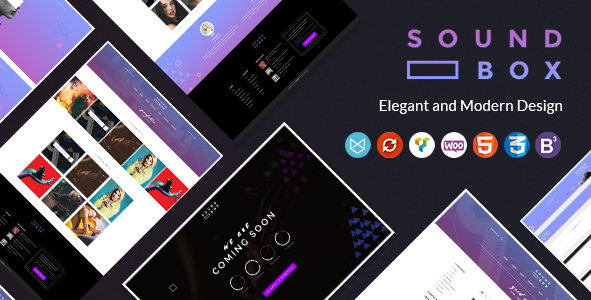 SoundBox includes a easy-to-use, powerful theme options and a great variety of options allow you to tweak any part of the theme without writing a single line of code. If you are intending to create multi-lingual in Arabic, Hebrew, Farsi/Persian, Urdu or any such RTL language, then you can depend on the integration of RTL function. 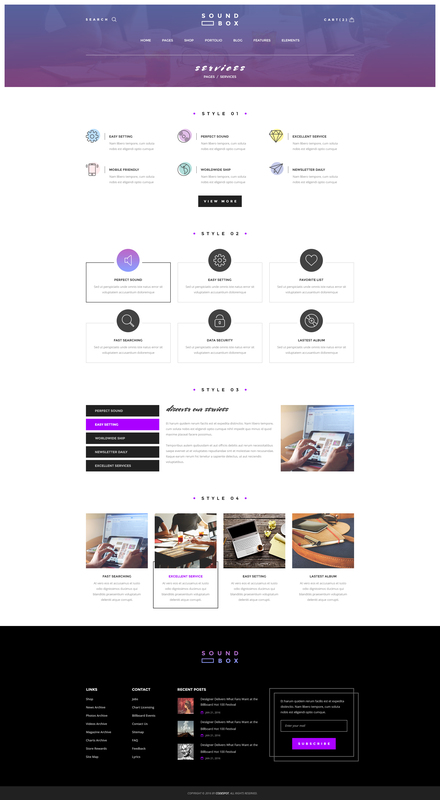 It is also fully integrated with Ubermenu WordPress Megamenu plugin, Revolution Slider, Visual Composer, Easy Digital Download. 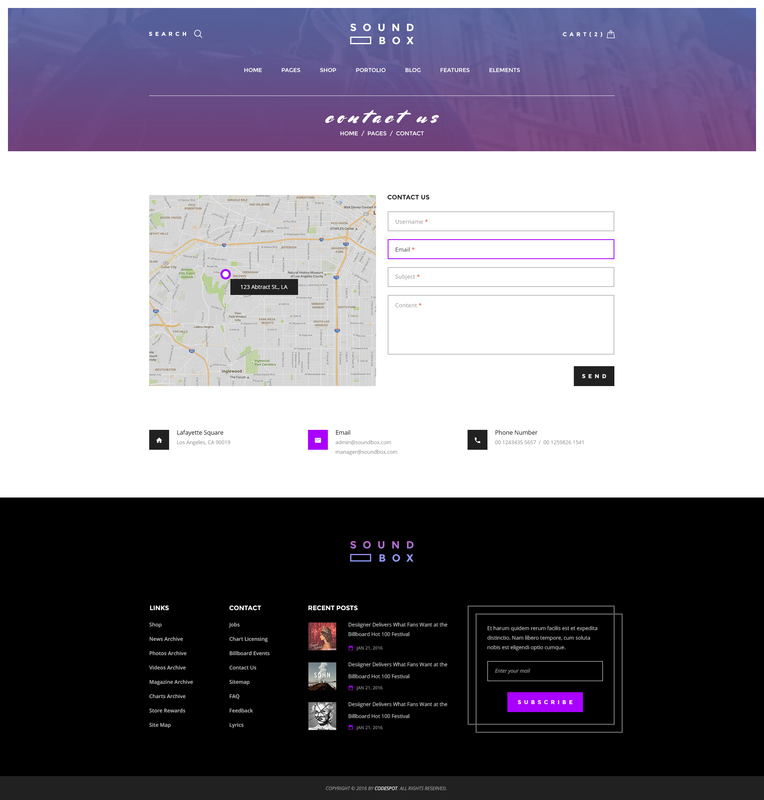 Other notable features integrated into this theme are Multi Homepage, predefined Mega Menu, Advanced Header Options, Font Awesome Icons, Quickshop, Unlimited Colors, multiple headers and footers. 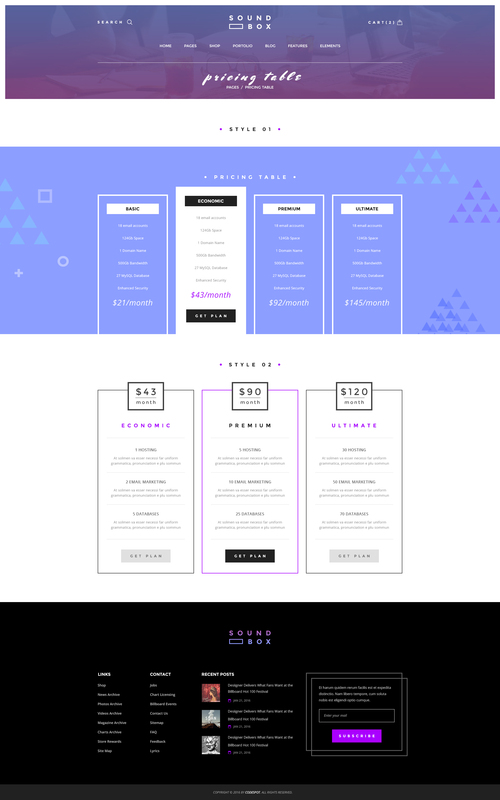 With tons of convenient capabilities, this theme will definitely a great choice for building a professional and striking online shop. + Fixed bug remove cart.